A WOMAN was has been found guilty of shooting her boyfriend in the head, killing him on his doorstep. 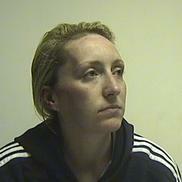 Wannabe model Caroline Igoe today (Friday) was convicted of the murder of Martyn Barclay. Her brother Paul was cleared of the killing but found guilty of trying to cover up the slaying. A jury of nine women and six men took four hours to unanimously find Caroline guilty of murder, possession of a firearm and attempting to defeat the ends of justice. SCOTLAND’S oldest political activist is back out chapping doors on the campaign trail – just a few months shy of his 100th birthday. Leslie Spoor got his first taste of politics when he was caught up in the Battle of Cable Street in East London in 1936 when the local communities united to take violent action against Oswald Mosley’s British Union of Fascists. 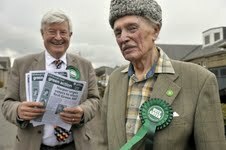 The 99-year-old, who retired in 1975, was the principle founder of the Scottish Ecology Party, which later became the Scottish Green Party. The former Musselburgh Grammar School history teacher was previously a member of the Labour party and a close friend of the late foreign secretary Robin Cook. 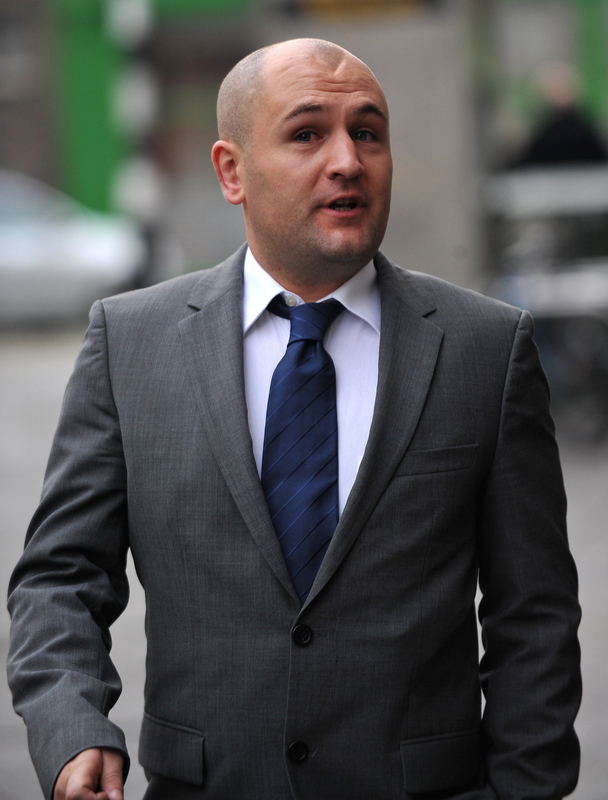 A DISGRACED police constable is to cash in on thousands of pounds of taxpayer’s money after being told he can keep his police pension despite being convicted of drug dealing. Christopher McGinn, 30, from Pathhead in Midlothian, was jailed for more than two years last October after he was caught supplying cocaine by his own colleagues, abruptly ending his eight year career with Lothian and Borders Police. But it emerged yesterday that he will still be able to claim thousands of pounds in pension cash despite his conviction – because it would most likely cost police bosses more to try and stop him. The Lothian and Borders Police Board was asked by Chief Constable David Strang to determine whether they wished to go ahead with “forfeiture” procedures against the disgraced cop. ONE of Hollywood’s top make-up artists is setting up shop in Scotland. Graham Johnston is used to touching-up the looks of the Brad Pitt, Catherine Zeta Jones and Russell Crowe. But now ordinary Scots will be able to benefit from his A-list techniques for a short time only at his temporary berth in Edinburgh. He will spend three months in the city while between shoots, the same location which gave him his big break working on home grown budget films including Trainspotting and Shallow Grave. 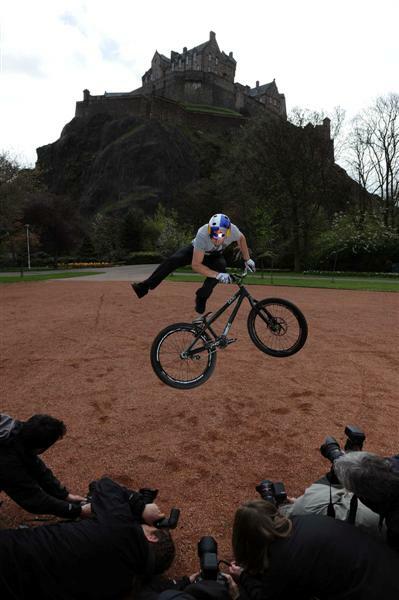 SCOTTISH stunt biking king of the castle Danny MacAskill is planning a surprise move to Spain. The fearless rider became an internet sensation last year when a video of him leaping over Edinburgh’s landmarks racked up over 17 million hits on YouTube. But now the 23 year-old says he has conquered all the obstacles Scotland’s capital has to throw at him, and is eyeing up a move to Barcelona. He says the stunning architecture in the Spanish city would be a perfect setting for his spectacular bike tricks. ORGANISERS of the UK’s biggest golf tournament of the year are preparing to stage the huge event this summer – and it isn’t the St Andrews Open. 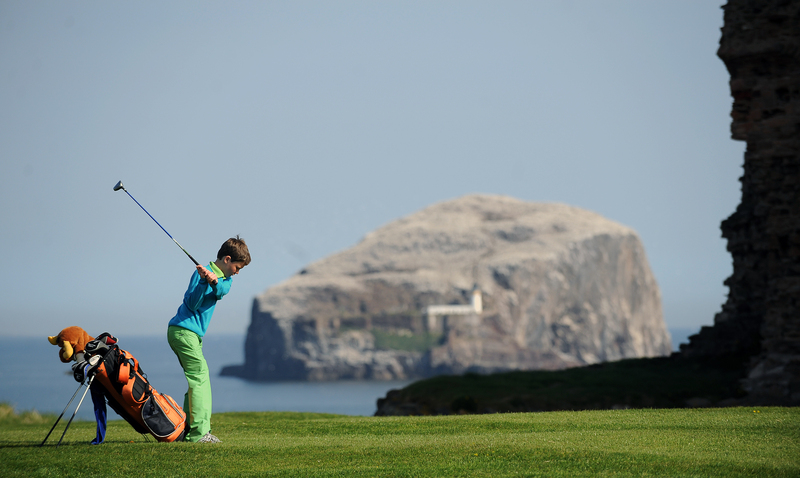 The US Kids Golf European Championship is to attract almost 500 budding young golf stars from across the globe. The three-day tournament, held in four historic courses across East Lothian, is the largest single-field event to be held in the UK. Around four times the number of players are set to compete in the event, held on June 1st-3rd, than in the Open Championship. TV singing sensation Jenny Douglas has revealed she was subjected to torment by cruel bullies over her weight at school. The stunning Scots beauty – who is set to become a West End star if she wins the final of TV talent contest Over the Rainbow – said she had a “tough time” when she first arrived at high school in Edinburgh. The 18-year-old also revealed that things got so bad that she underwent a gruelling weight loss regime to lose a staggering four stones in just six months. Speaking ahead of the final, Jenny said: “It was nothing to do with the school itself, but I got a tough time. Everyone was trying to fit in and find a good group of friends.